CLOSIS PLUS: Uses and Side-Effects-Dr Suryanarayana Sharma P.M. 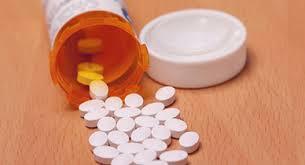 It consists of Clonazepam and Escitallopram and is used for short-term anxiety, hypertension, and alcohol withdrawal. It is known as an anti-epileptic and an anti-convulsant and it is used to control panic attacks. It belongs to a cluster of drugs called benzodiazepines and works by inducing a calming effect on your nerves and brain. It is used to treat certain seizure disorders and also panic disorders. It is useful in the treatment of the Lennox- Gastaut syndrome, akinetic and myoclonic seizures. It can be used in restlss legs syndrome in adults. It is used for the treatment of panic disorders with or without agoraphobia as defined in DSM-V. It is an antidepressant of selective serotonin reuptake inhibitor type (SSRI). Escitalopram is mainly used to treat major depressive disorder or generalized anxiety disorder. it is approved for depression (MDD) and certain anxiety disorders: general anxiety disorder (GAD), social anxiety disorder (SAD), obsessive-compulsive disorder (OCD), and panic disorder with or without agoraphobia. Suicidal tendency especially below 25 years of age. It is not recommended if anyone has the history of allergy to Benzodiazepine group of drugs. It is not recommended if you have an active liver disease or abnormality. It is not recommended if you have Acute Narrow Angle Glaucoma. Take advice from the doctor before taking this medicine. Do not exceed the amount of dose, take only as prescribed by doctors. Avoid consumption of alcohol.